We all have basic clothing that makes up the foundation of our wardrobe. For me this includes a blazer, button-up blouse, black pants and pumps. 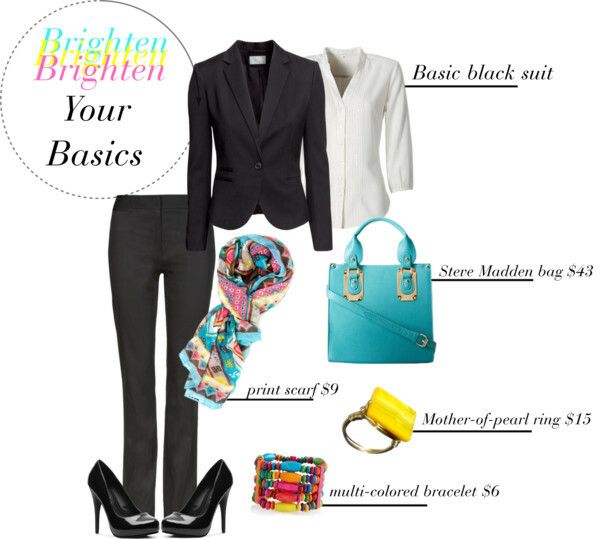 I tend to shy away from color but I brighten up my basics with a mix of bold statement rings and colorful handbags. They make me happy, especially on grey February days. They also give me a chance to express my personal style, which is hard to do in business attire.